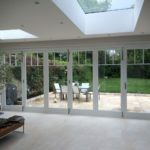 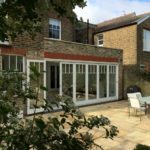 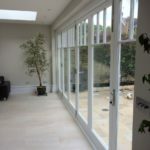 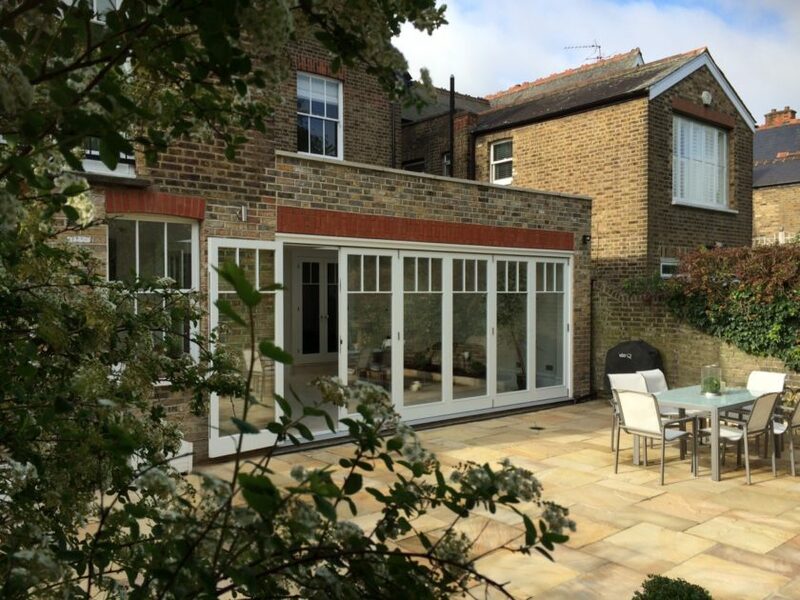 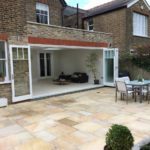 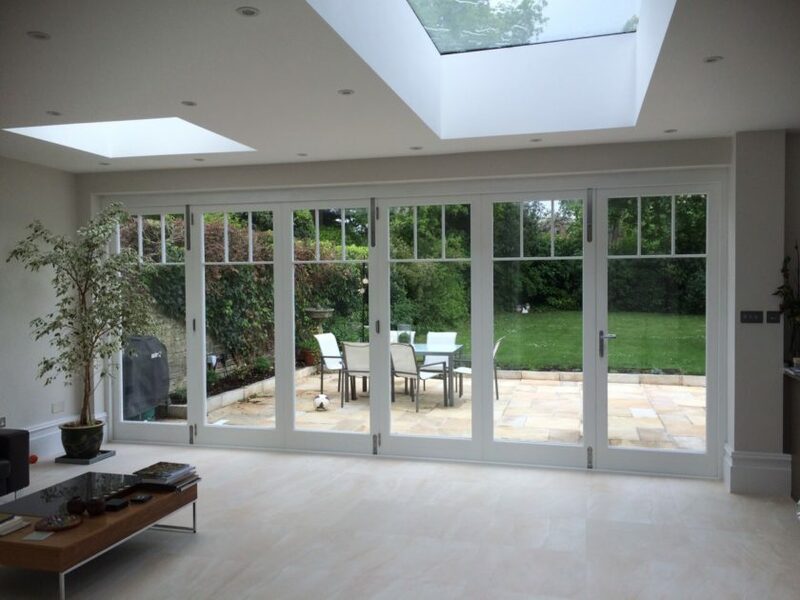 Bi-fold Door to the rear, facing the garden manufactured to provide maximum light and space. 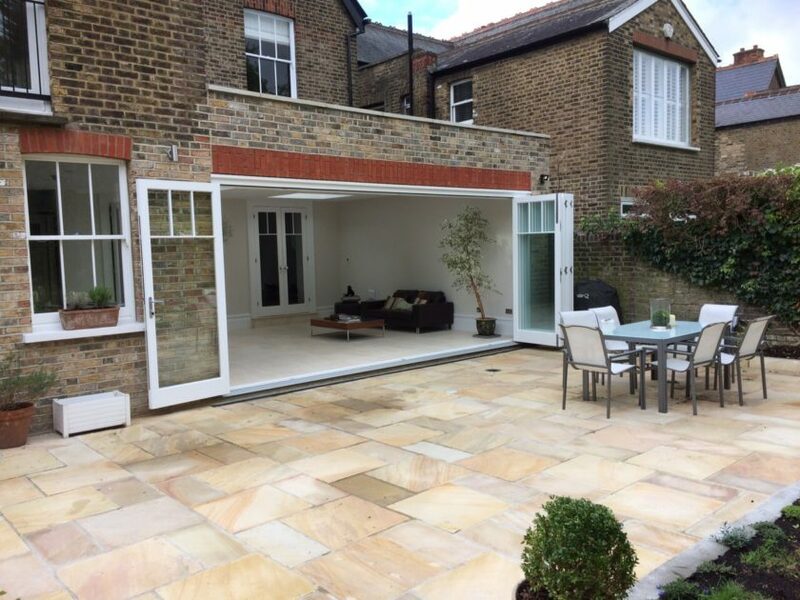 The set comprises of 6 leafs, a main door leaf opening outward at 180 degrees and remaining 5 leafs folding to the opposite side ( 5650mm wide x 2470high aperture). 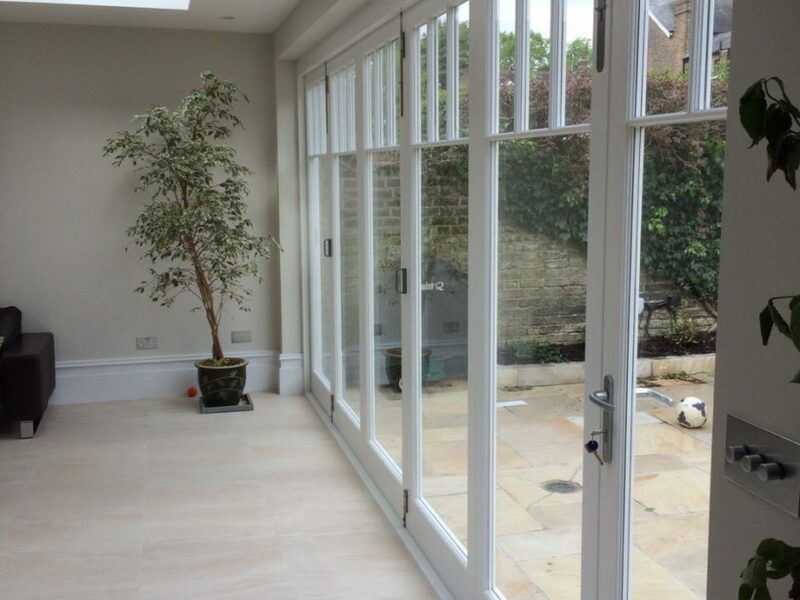 The door is equipped with a multipoint locking system, which is Secured By Design accredited.